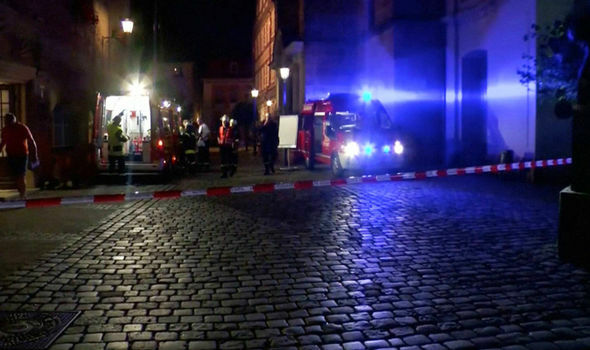 A Syrian illegal immigrant has blown himself up outside a restaurant in Ansbach, near Nuremburg in Germany. The suicide bomber was known to police, had had his asylum claim rejected a year ago and was known to have psychiatric problems with suicidal tendencies. Despite being a confirmed bogus asylum seeker he was allowed to stay in Germany because they won't send anyone back to Syria, even if they're not in any danger. Twelve people were injured in the attack, three of them critical. Earlier on Sunday another Syrian illegal immigrant killed a pregnant woman with a cleaver and attacked two others before a passing driver knocked him over with his car in Reutlingen.